Wolf Kupatt has served as CEO of amedes Group since nearly two years. Amedes is an integrated diagnostics group, headquartered in Hamburg and Göttingen, operating at more than 60 sites across Germany and Belgium. Wolf joined amedes from Baxter International where he worked for nine years as GM Germany, President Latin America & Canada and most recently President Central & Eastern Europe, Russia, Turkey, Middle East and Africa. 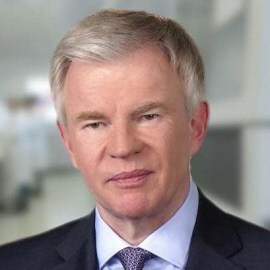 Before that, he held senior leadership positions at Roche and Bristol Myers Squibb with responsibility for businesses in European and international markets, i.e. in Latin America. Over the span of his 30-year career, he has overseen business operations in more than 100 countries. Wolf Kupatt graduated from the University of Bonn with a degree in Medicine. His international assignments took him and his family to live in six countries; he is now based in Hamburg.